New litters due in Spring of 2019. Check back for updates. Because I work full time outside the home and spend weekends away at cat shows, I try to maintain a small cattery, producing only a few litters each year. My goal is to breed to the CFA standard for top show prospects, but pet quality kittens are sometimes available to approved homes. There is usually a waiting time for kittens - sometimes up to several months. I encourage people to stay in touch regularly if they are interested in a kitten. I do not keep a formal waiting list. My kittens are ready to go between three and four months of age. At that time they are completely weaned, vet checked and have had two series of vaccinations. Male kittens are neutered before placement and females are either spayed or sold with a spay contract. I occasionally have young adult retired breeder/show cats available for adoption to special homes. Already neutered/spayed and updated on their vaccinations, these cats make wonderful pets for people who are not interested in going through the "busy" kitten stage. All of my kittens and adults are guaranteed for both health and temperament (see sales contract below). If you think you might be interested in one of my kittens or retired show cats, please take the time to review my Cattery Policies. Below are pictures of some kittens from past litters. 1. This kitten/cat is being sold as an indoor pet. Under no circumstances can this animal be sold, leased or given to a pet shop, research laboratory or humane society. If the purchaser wishes to transfer ownership of the animal at a future date, the breeder is to be notified of the transfer, and the new owner(s) must agree to abide by the terms of this contract. 2. The purchaser agrees to have the kitten neutered/spayed by a veterinarian between the ages of four and seven months (if not already neutered/spayed at time of sale). Upon presentation of a certificate of neutering, the breeder will provide the purchaser with registration papers. 3. At the time of sale, the kitten/cat is guaranteed to be in good health feline leukemia negative and free from parasites and infectious diseases. If a veterinarian examines the kitten/cat within one week of the purchase date and a medical problem is found, the breeder is to be notified immediately in order for the kitten/cat to be returned for a refund or replacement. The breeder will not be held responsible for any veterinary expenses. 4. The breeder agrees to replace the kitten/cat in the event the kitten/cat dies of a congenital defect within the first five years of life. A veterinarian autopsy/necropsy report must be provided to verify the cause of death of the kitten/cat. 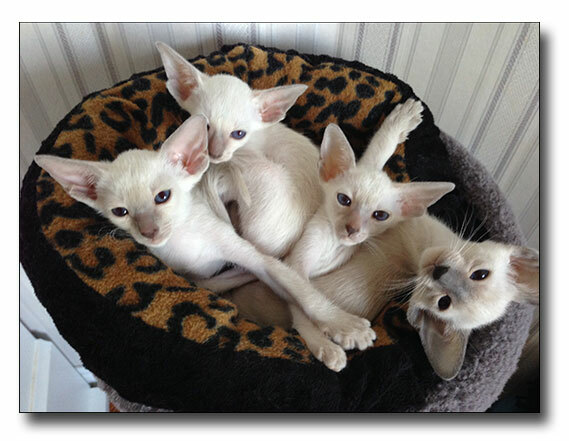 The breeder will replace the cat/kitten with another cat or kitten of similar quality and value, as available. No cash refunds. This kitten/cat should receive an booster one year from the last vaccine noted above. The breeder cautions against the use of leukemia or FIP vaccinations. These vaccines are controversial and their efficacy has not been well proven. 6. The breeder will allow for a two-week adjustment period during which time the kitten/cat may be returned for a full refund minus a $75.00 deposit/handling fee, which will be used to test the kitten/cat for feline leukemia. 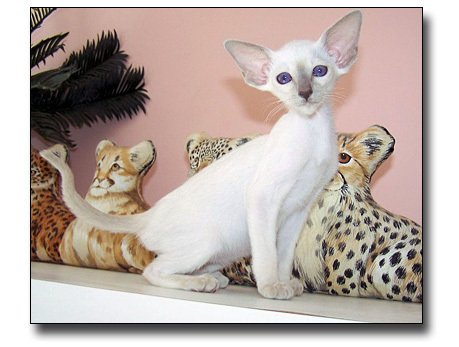 The purchaser will have the option of taking a replacement kitten/cat if one of similar quality is available. After the two-week period, any refund or replacement will at the discretion of the breeder. 7. The purchasers signature indicates full understanding and approval of all of the above terms and conditions, and acknowledges that this is a legally binding agreement, which can only be altered by an amendment, which is fully signed and executed by both parties. Copyright © Thaifong, Virginia Wheeldon.